This quote says explains it all so beautifully. 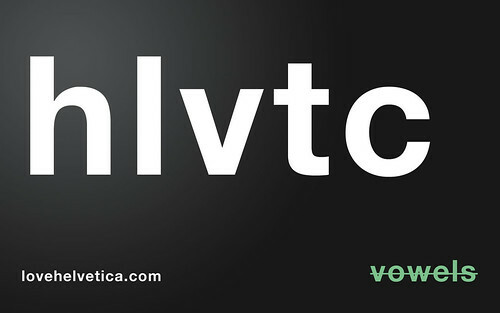 Helvetica is one of of the most widely used fonts in the world. You do in fact see it every single day. Graham Smith of imjustcreative.com created lovehelvetica.com to share the love this wonderful font. Graham is giving away Helvetica goodies on the blog and has a Flickr group for people to contribute. I have shared a bunch of designs with the group which you can visit by clicking the design below. For those who don’t know who Graham is, he is the man who also brought monoexpression.com to the world wide web which another great website to share the love of creativity.